By David Veselka on Dec 2, 2015 - 32 Comments. Battlefront is back. 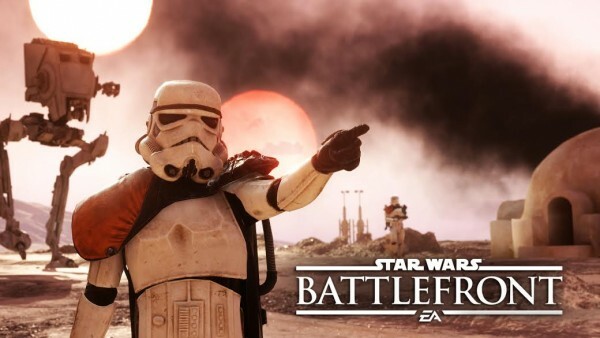 No, not the 2004 shooter from Pandemic Studios, but a fresh and modern take on one of Star Wars’ most beloved video game series, this time from the reputable studio that brought you shooters like Battlefield 3 and Battlefield 4. 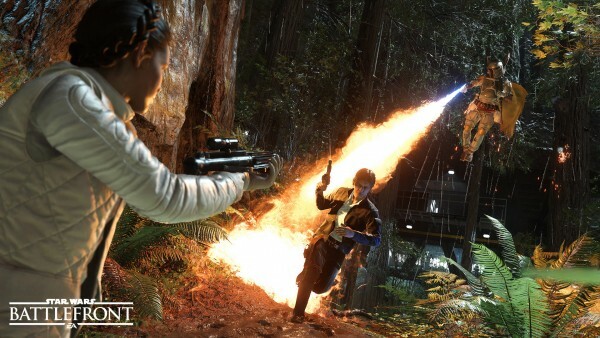 Through adverts, trailers, and gameplay reveals, the Stockholm-based studio has made its promise to deliver the most authentic Star Wars experience you could possibly get in a video game very clear. By using techniques like photogrammetry and benefiting from direct access to the source material, a simple in-game screenshot might tell you that DICE has made massive strides in achieving this. 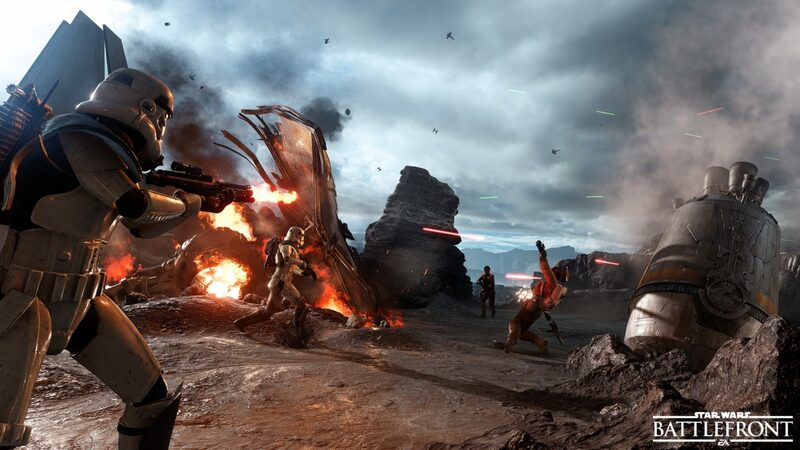 Star Wars Battlefront not only looks beautiful, it looks exactly like Episodes IV, V, and VI. With a strong pedigree in the industry, DICE also brings years of triple-A development experience to the table, so it’s no wonder that shooter fans everywhere have Battlefront on their radar just as much as Star Wars fans do. The question is, can it satisfy both, and does it have the gameplay to match the visuals? She looks like a lot, but does this shooter have it where it counts? 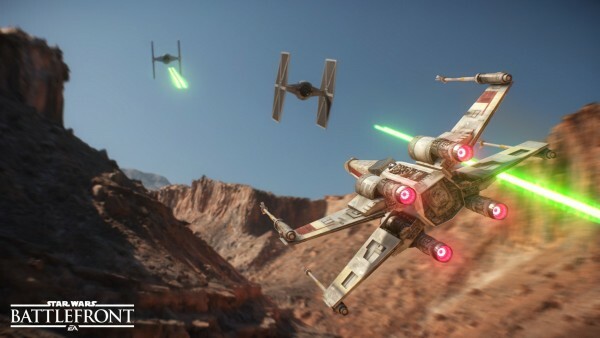 At first glance, Star Wars Battlefront’s home-screen will appear full of options with a large menu of multiplayer modes to pick from, along with a handful of different mission modes to explore. There are nine multiplayer modes on offer that range in player count from eight-player skirmishes to larger, 40-player battles. While some go all-in with iconic Star Wars heroes, villains, aerial fighters, and ground vehicles, others present a more intimate struggle between the Imperials, Rebels, and their blasters. Supremacy, Walker Assault, and Fighter Squadron are all-in-one game modes that do a fantastic job transporting the player to a galaxy far, far away and delivering the essential Star Wars experience in video game form. Though different objectives are outlined in each, their size and scale make it easy to reenact memorable, large-scale Star Wars conflicts through the eyes of your favorite character or in the pilot seat of your favorite vehicle. It’s all wonderfully brought to life in stunning detail and spectacular realism thanks to the powerful Frostbite 3 engine. Whether blasting your way through Rebel scum on Endor or toppling an AT-AT in a Snowspeeder on the surface of Hoth, you might even find some moments in the game more exciting than the films. Battlefront’s six other modes struggle to capture the same magic and will likely fall off your radar after only a few hours of game time, however. Because there isn’t anything particularly complex about any of them and the game only allows players to squad-up with one other, there really isn’t much opportunity to master unique strategies or craft different experiences through continued playing. One exception, I might add, is Battlefront’s round-based Heroes vs. Villains mode, which is not only fun and competitive in a chaotic kind of way, but is also a great place to get some practice with all the different character abilities. At the end of the day, Battlefront’s charm really only lies in these four aforementioned game modes, whereas the rest come across as filler and are ultimately forgettable. And with a very predictable map rotation, a sense of boredom often creeps in sooner than you might expect. While I don’t know if it would have been technically feasible, the ability to bring in a friend via split-screen, I think, would have gone a long way in adding replay-ability to more of the game’s online multiplayer modes. Offline, Battlefront’s training mode is the closest thing you’ll get to a story-driven campaign like Galactic Conquest from the older Battlefront games, which is, sadly, not present in this interactive Star Wars package. Still, it’s worth a play-through. Each mission presents a specific scenario, be it an X-wing chase in Beggar’s Canyon or an AT-ST assault on Sullust, along with some light dialogue, introduction movies, and a tour of some of the game’s vehicles and characters. With only five of them in total, I wish the mission list was expanded into something more representative of a full campaign, even if that meant cutting some of the other, less appealing mission modes. Battle missions are quite simple in design, following a basic team deathmatch set-up with tokens that must be picked up from dead enemies and fallen friendlies in order to rack up enough points for a win. Survival, as the name implies, challenges you to out-smart and out-gun increasingly difficult waves of enemy AI. Aside from challenge stars to collect, there isn’t much reason to return to either mode after one or two play-throughs of each map. With no online split-screen capabilities, Battlefront falls short of the party game I think it could have been and ends up providing only a few hours of co-op content, as opposed to long, sleepless nights of fun. From the get-go, Battlefront hands all players a neatly-presented, career-wide diorama of trophies to collect, spanning multiple modes and providing completionists with a clear and appealing visualization of their ultimate goal. Ticking off all 30 won’t be an easy task, though it appears that it will require more time than it does skill. As you complete matches and missions, you’ll earn Credits to spend on Star Cards (abilities), blasters, and customization options for your Rebel soldier or Stormtrooper. Given that you can play in third-person, Credits spent on your looks won’t go to waste, but when it comes to Star Cards and blasters, you’ll probably find a few that are more appealing than others, narrowing your unlock path. With three slots per hand of cards, you’ll be very tempted to fill yours with only the most advantageous abilities like the Thermal Detonator (grenade), Explosive Shot (increased damage), and Barrage (grenade launcher). You might, however, consider tuning your second hand of cards towards anti-vehicle combat for modes like Walker Assault. As you get rolling, you can choose to upgrade your current cards, or spend your Credits on new items that unlock as you rank up. By level 32, you should have access to everything, provided you have the Credits to spend. In total, there’s a fair amount to unlock, but I never found the ‘carrot’ in front of my face all that appealing, making the chase feel a lot more sluggish than it could have been. Most multiplayer modes cycle through a selection of six to nine maps — or four if you’re playing Supremacy, Walker Assault, or Fighter Squadron — all based on easily recognizable Star Wars locations like Hoth, Tatooine, and the forest moon of Endor. Sullust, a previously unexplored planet, also makes its first up-close appearance in a Star Wars game. The in-game representations of these backdrops are, at times, unbelievable and are incredibly faithful to the films. 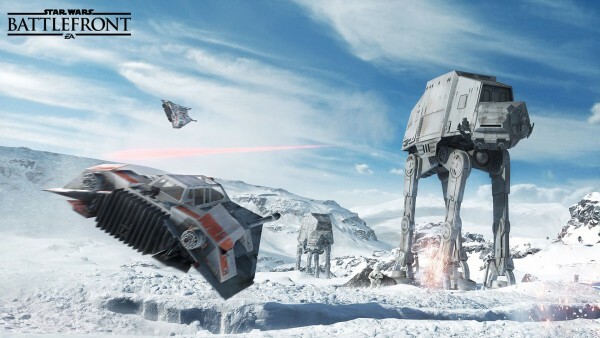 Battlefront is 100% Star Wars every inch of the way, from the textures and scratches on Luke’s Lightsaber to the snow-covered mountains surrounding the accurately-recreated Rebel base on Hoth. 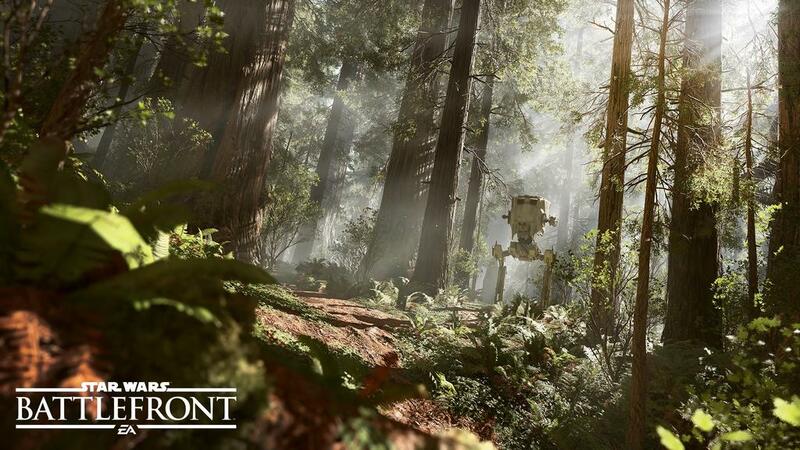 Endor on Walker Assault is breathtaking and it’s nice to finally see a dense forest area done right in a video game. The rocky environments of Sullust are equally as impressive, especially the way the light reflects off of surfaces. It’s imperative that you play a match or two with all of the game’s HUD elements turned off to really soak in the views, which is a nice feature in and of itself. To my surprise, the impressive visuals and details are retained throughout Battlefront’s split-screen experiences, though the frame rate, at least on consoles, is understandably cut in half, maintaining 30FPS with only a few drops. Each sound effect, be it the crack of a blaster, the rumble of a Tie Fighter, or the swoosh of a lightsaber, has been precisely recreated to match the original. Even explosions retain the classic look and sound of the same practical effects that were used in the original films. But hearing all those familiar noises again — and, of course, the music — in masterfully mixed 5.1 or 7.1 surround sound on more modern hardware is really something special. The audio team at DICE has never failed to impress and they were the perfect team to bring the sounds of Star Wars back to life in a 2015 video game. In general, the presentation quality of Star Wars Battlefront is through the roof and is indicative of the movies that inspired it. The menus are beautiful to look at and even celebrate iconic Star Wars props that pan across the screen from time to time. The classic George Lucas-style transitions between scenes are also a nice touch that go a long way in making Battlefront about as Star Wars-y as it can get. Quite easily, it’s the best looking and best sounding Star Wars game to-date — heck, maybe even the best looking and best sounding shooter to-date. 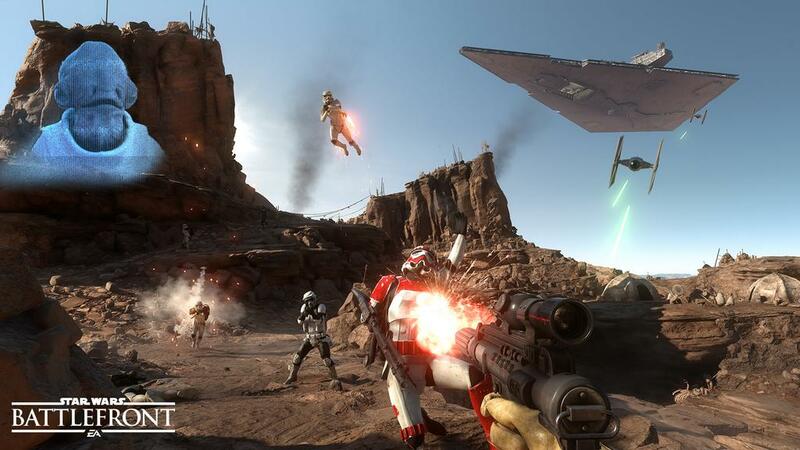 Whether you find your home on PlayStation 4, Xbox One, or PC, you’re in for a treat, especially if you’re someone who gets excited about reliving those early Star Wars memories. 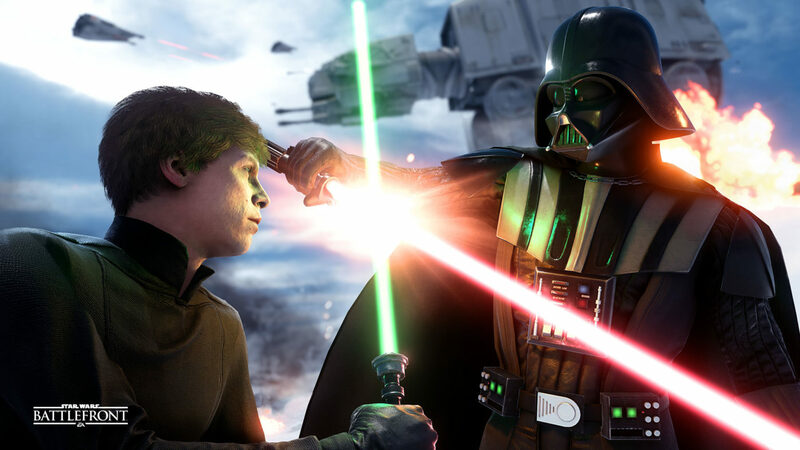 Battlefront, which is a fresh reboot of the series and not Battlefront III, has its work cut out for it. Attempting to appeal to fans of the original, its sequel, fans of EA games, and fans of Star Wars in general is no easy task. DICE’s shooter nails in some regards, but misses in others. Battlefront and Battlefront II are old games. Those who’ve played it and have enjoyed the living daylights out of it, including myself, are older now and our tastes in shooters have likely changed. DICE could have layered complex gameplay mechanic upon complex gameplay mechanic to expand the systems utilized by modern shooters like Battlefield 3 and Battlefield 4, but then what about the wide pool of Star Wars fans that don’t play those games? After all, Star Wars is a universe shared by everyone. With that in mind, DICE has clearly opted for a more casual first-person and third-person shooter experience, overall. Battleront’s gameplay is about as basic as you can get: point your blaster at the enemy and pull the trigger. Very little recoil control is needed, though you do need to account for travel time and some spread. Zooming in and changing stance won’t affect accuracy, meaning you can hop around and fire away without a worry, provided your aim is true. The game, however, will still award those trained to aim at the head. Even flying is as simple as moving the thumbstick where you want to go without having to worry about pitch and yaw, etc. Instead of selecting vehicles, power-weapons, and heroes or villains as loadout options, players will find these items as blue-colored power-ups scattered throughout each level. The way it’s set up does mean that those who’ve learned where the hero and villain pick-ups are at the start of a match will likely get it every time, so newcomers will have a bit of memorizing to do. Otherwise, the pick-up system is alright at giving everyone a shot at flying vehicles or taking control of powerful abilities, even if it might encourage camping. 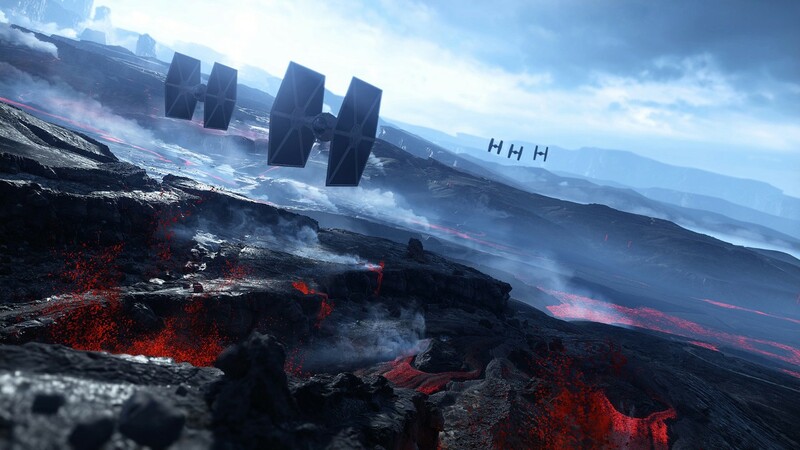 In my experience, matchmaking in Battlefront has performed exceptionally well at finding good games quickly. My connection quality has never come up as a point of frustration, and I don’t recall ever becoming a victim to severe lag. I only found it a little odd that it would sometimes put me on a team of nine when the other only had seven or eight. If you’re going into this game looking for a balanced, fair, and competitive fight, you’re going to have a bad time. Blasters don’t always hit straight, which can be frustrating, and the the explosive spam can get out of hand at higher levels. A lot of items are simply too powerful for their own good, or, in other words, are easier for newcomers to use. Things like the Homing Shot, for example, are complete overkill against infantry. I question why it’s even there, other than to perhaps arbitrarily fill out the unlock tree. But as more of these powerful abilities make their way to the battlefield, so too do the ways in which you’ll die unexpectedly in the blink of an eye. That, with the sometimes awful spawns, can lead to infuriating moments. Again, the casual gamer will have the luxury of shrugging or even laughing these things off as something that’s just part of the fun, but the more seriously you take Battlefront as a competitive shooter, the harder it can be to keep your cool. Ultimately, Battlefront is a game about reliving and recreating legendary Star Wars battles in near-perfect detail that sometimes even surpass moments from the films. It’s the kind of game I love to simply look at because — let’s face it — it looks astonishing. It’s also a lot of fun, if you don’t take it too seriously, and sounds great too. But beyond the three to four game modes that actually deliver those experiences, Battlefront is pretty dry for a video game and likely won’t keep you beyond a couple days’-worth of play time. I’m also worried that post-launch releases are only going to add more filler than meaty content, like a proper campaign mode or actual space battles. Even if they do, I’d be lying if I said it wouldn’t hurt to pay extra for things that perhaps should have been there at launch. If you’re looking for a shooter that will encourage months of play time and become the ultimate hub for endless co-op fun with friends and family, find these things in Star Wars Battlefront, you will not. What you will find, however, is a closest thing to actually being in a Star Wars movie, courtesy of a studio that went above and beyond to stay true to the real thing and bring your favorite Star Wars memories to life. Had the offering of activities been as generous as the presentation, Star Wars Battlefront would have been one to remember. 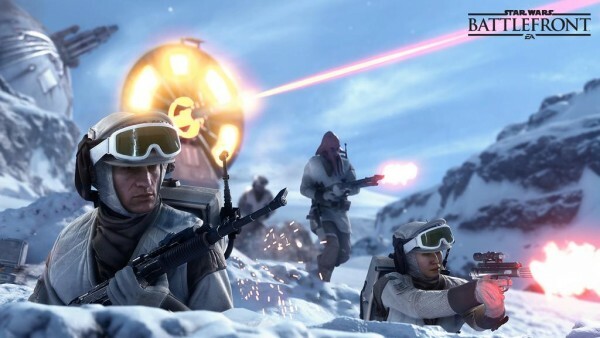 Star Wars Battlefront was reviewed on the PlayStation 4 via a review code provided by Electronic Arts.